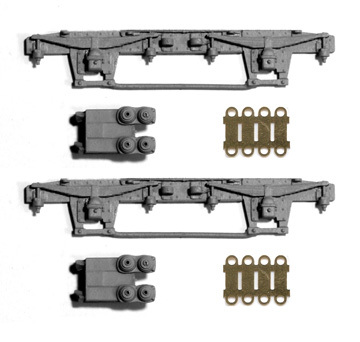 For use with MJT 2225 CCU. Includes all sideframe castings and bolster detail. A short length of thin brass wire is included to complete the bolster assembly.